Akhilesh Yadav alleged that in spite of visiting Mathura thrice after becoming the chief minister, Yogi Adityanath had done nothing for "Brijbhumi". Samajwadi Party and Congress would contest the 2019 Lok Sabha election together, he said. 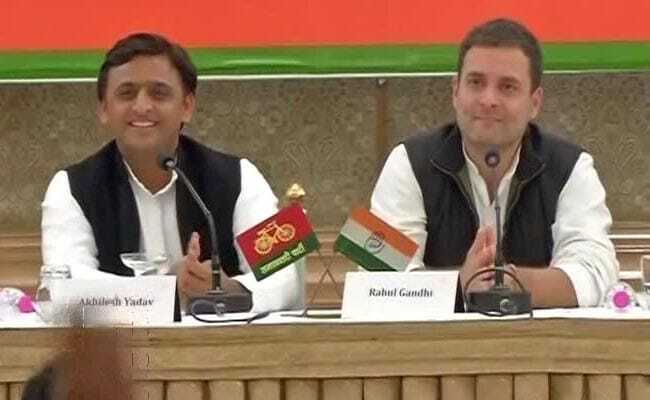 Mathura: Samajwadi Party (SP) chief Akhilesh Yadav today said his party's coalition with the Congress would continue in Uttar Pradesh and they would contest the 2019 Lok Sabha election together. "The alliance with the Congress will continue and we will contest the next election unitedly," he told reporters at Vrindavan. 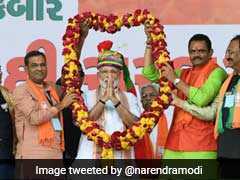 Asked about Prime Minister Narendra Modi's statement that this year, Diwali was advanced by a fortnight after the relaxations announced in the Goods and Services Tax (GST), the former Uttar Pradesh chief minister said, "Ask the trader and he would counter the claim." Replying to another question, he said the current BJP government in the state could not match up to the previous SP regime headed by him in terms of development. Mr Yadav alleged that in spite of visiting Mathura thrice after becoming the chief minister, Yogi Adityanath had done nothing for "Brijbhumi". Even the "dream project" announced by the Yogi government for the development of Vrindavan had remained a "dream", he said. The SP leader further alleged that the Yogi government had taken no efforts to clean the Yamuna river. Regarding offering a respectable position to senior leader Shiv Pal Yadav in the party, he said it was a family matter which would be settled amicably.